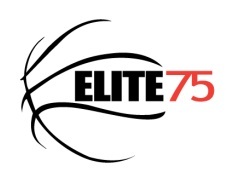 The New England Elite 75 is the region's premier showcase. It was the the inaugural event of New England Basketball Services in 2006 and the first of its kind to put all of the region's best players in the same gym at the same time. In 2017, the Elite 75 returned to its roots and attracted some of the best rising seniors in New England. With a coaching staff comprised solely by active college coaches, and primarily by division II coaches, this event is designed for any rising senior that does not yet have a commitable division I offer. NERR Refund Policy - Please note that there are no refunds on payment but that if registered players are unable to participate and notoify NERR within 48 hours of the event, they will receive a credit towards a future event. Thank you. Scouting Services and Media Outlets who have covered past Elite 75 Showcases include: Scout.com, Rivals.com, Hoop Scoop Online, ESPN's Scouts Inc, Tom Konchalski and the HSBI Report, Fox Sports, Slam Magazine, RISE Magazine, Boston Herald, New York Times, Hartford Courant, Providence Journal, Worcester Telegram, New London Day, Hoopville, & the New England Recruiting Report. Past Division I Participants include: Jordan Williams (Maryland/NBA), Alex Oriakhi (UConn), Rakim Sanders (Boston College/Fairfield), Erik Murphy (Florida), Jamal Coombs (UConn/Hofstra), Troy Gillenwater (New Mexico State), Allan Chaney (Florida/Virginia Tech), Mike Marra (Louisville), Nate Lubick (Georgetown), Carson Desrosiers (Wake Forest), Evan Smotrycz (Michigan), Damian Saunders (Duquesne), Thomas Knight (Notre Dame), Billy Baron (Virginia/URI), Austin Carroll (Rutgers), Stevie Mejia (Rhode Island/Hofstra), Matt Hill (UMass), David Gibbs (UMass), Orion Outerbridge (Rhode Island), T.J. Robinson (Long Beach State), Corey Bingham (Toledo), Mike Howlett (Pennsylvania), Chris Prescott (St. Joseph’s/St. Peter's), B.J. Monteiro (Duquesne), Kyle Casey (Harvard), Melsahn Basabe (Iowa), Paul Becklens (Toledo), R.J. Evans (Holy Cross), Mike Moore (Fordham), Rashad Wright (Charleston), Charoy Bentley (St. Joseph’s), John Hegarty (Portland), Jake O’Brien (Boston University), Candon Rusin (Marist), Dartaye Ruffin (Drexel), Dominique Langston (Quinnipiac), Anthony Ireland (Loyola Marymount), Tyrone Conley (New Hampshire), Mike Culpo (Long Island), Chris Evans (Sacred Heart), Remy Cofield (Pennsylvania), Andrew Van Nest (Harvard), Trevon Wilcher (UMass/Maine), Steve Glowiak (Sacred Heart), Andrew McCarthy (Brown), Joe Accaoui (Vermont), Greg Mangano (Yale), Sam Leclerc (Bryant), Dane DiLegro (New Hampshire), Chris Flores (NJIT), Barry Latham (Bryant), Pat Saunders (Princeton), Simon McCormack (American), Matt Brown (Harvard), Pat Bergmann (Vermont), David Rufful (Dartmouth), Doran Mitchell (Maine), Nick Greenbacker (Sacred Heart), Greg Kelley (Yale), Ike Azotam (Quinnipiac), Chris Baskerville (Central Connecticut), Mike Myers-Keitt (Monmouth), Luke Apfeld (Vermont), Daryl McCoy (Drexel), Preye Preboye (Stony Brook), Ben Crenca (Vermont), Stanford Dulaire (Sacred Heart), Brian Fitzpatrick (Pennsylvania), Tucker Halpern (Brown), Shane Gibson (Sacred Heart), Matt Labove (Dartmouth), Sam Martin (Yale), Jon McAlian (Maine), Adrian Satchell (UMBC), Steve Zazuri (Sacred Heart), Troy Robinson (Bryant), Isiaih Salafia (Yale), and Corey Wright Jr. (Long Island). NBA & College Players Who Have Returned for Alumni Games Include: Matt Bonner (San Antonio Spurs), T.J. Sorrentine (Italian Professional League), Jeff Adrien (UConn), Doug Wiggins (UConn/UMass), Farnold Degand (N.C. State), Anthony Gurley (Wake Forest/UMass), Chad Miller (Creighton), Ben Eaves (Rhode Island), Jim Baron (Rhode Island), Lamonte Ulmer (Rhode Island), Keith Cothran (Rhode Island), Luke Bonner (UMass), Travis King (George Washington), Joey Accaoui (Vermont), and Mike Trimboli (Vermont).